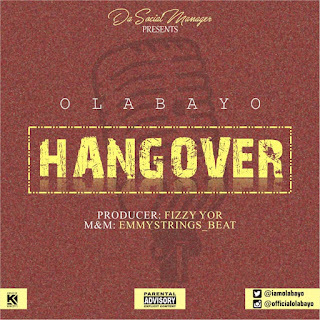 The Finest Nigeria (Croccity) Artiste Emmanuel Benjamin Popularly known as Olabayo DaSocialmanager the CEO www.1globehitz.com Blog Is Here once again to thrill the mind of his fans out there with a new lovely hit banger titled "HANGOVER" Song produced By Fizzy Yor and Mixed & Mastered by Emmystrings Beat. This a new Nigeria Artiste to watch out for. Cope Yours Below, Download, Listen and Share.